Government says discussions to bring in more international airlines such as British Airways are under way, as the open skies policy takes root, brightening prospects for improved tourism traffic and increased business activity. Speaking on the sidelines of the Emirates Airways launch at the Harare International Airport last week, Transport, Communication and Infrastructure Development Minister Nicholas Goche said a number of high-profile airlines were keen on flying into Zimbabwe. "Yes, I can confirm that many other respected airlines are making inquiries. "British Airways, for instance, sent their Eastern Africa representative last year to find out if it was possible for them to resume flights to Harare and we told them that they are welcome. "After all, they (British Airways) were not banned by Government from flying into Zimbabwe but it was merely a business decision they took on the basis of low profits given our economic environment at that time," said Mr Goche. He also noted that Lufthansa Airlines and Air Namibia were determined to reintroduce flights to Harare. "They are all free to come to Zimbabwe anytime; we don't have a policy of barring airlines that want to fly into the country. "Our biggest advantage over many other African destinations is that we are the only country that has no exchange risks since we are using the United States dollar," explained Minister Goche. He said Lufthansa could not immediately get permission to fly into the country because the German airline "did not want to come on its own" but wanted Ethiopian Airlines to increase frequencies into Harare. It is understood that Government thought it was improper to allow an airline intending to fly into Zimbabwe to partner another airline instead of the flag carrier, Air Zimbabwe. Added Minister Goche: "Lufthansa Airlines were not genuinely coming to Zimbabwe, they wanted to come dressed in Ethiopian Airlines' dresses and we thought it was inappropriate. "Lufthansa's plan was to have Ethiopian Airlines increasing its frequencies into Zimbabwe, but we told them that if they wanted to come into the country, they should do so on their own and not in someone else's clothes." Presently, Ethiopian Airlines is flying into the country seven times a week, plying the Addis Ababa-Harare route and it could not be immediately established how many times the African airline would have been landing in Harare if the Lufthansa deal had sailed through. Lufthansa Airlines, which services 221 destinations in the world, is Germany's flag carrier that was founded in 1953. It is the largest airline in Europe in terms of overall passengers carried. Apart from British Airways, Lufthansa Airlines and Air Namibia, many other respected international airlines including Air France, Austrian Airlines, Egypt Air, Swiss Air, Bulgarian Airlines, and Qantas, are believed to be keen on flying into Zimbabwe. Market watchers say the airlines have been swayed by the increase in human traffic into the country coupled with the challenges affecting the national airline, Air Zimbabwe. Aviation experts believe Air Zimbabwe is incurring a loss of US$3 million daily. The parastatal has since stopped servicing over 20 of its 25 routes, and has accumulated huge debts since 2000. Economic commentators say while bringing back international airlines into the country would be appropriate, as that will translate into more revenue for the tourism sector, the move might backfire spectacularly as it would bring stiff competition that will decisively dent Air Zimbabwe's revival chances. Since the year 2000, close to 20 international airlines have stopped flying into Harare, citing viability problems as negative stories in the Western media took their toll. Some of the remaining airlines flying into Zimbabwe are Kenya Airways, which flies the Nairobi-Harare route 12 times a week; Ethiopian Airlines that services the Addis Ababa-Harare route seven times a week and the South African Airways (SAA), which plies the Johannesburg-Harare route seven times a week and the Johannesburg-Victoria Falls route seven times a week. 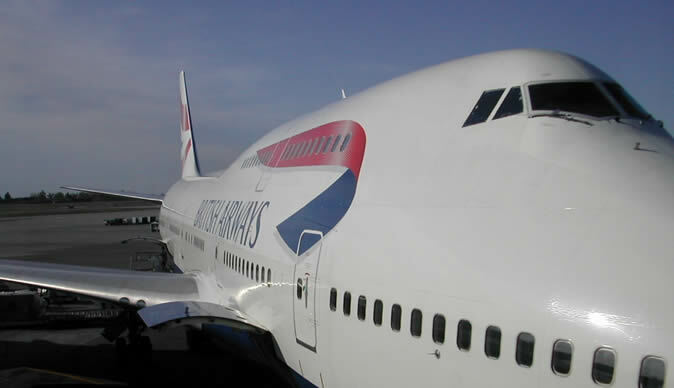 Others are the British Airways, via Comair, which plies the Johannesburg-Victoria Falls route seven times a week. Zimbabwe Tourism Authority (ZTA) chief executive Karikoga Kaseke has urged Government to ensure Air Zimbabwe does not collapse since tourism thrives when the national carrier is working well. "Wherever tourism has done well, it has been backed by a functional national airline. Look at Singapore, Kenya, South Africa, United Arab Emirates, among others, their tourism is doing well because their national airlines are functional," he said. Last year, the local tourism sector received close to 2,5 million tourists and it is expected that more will visit the country this year.